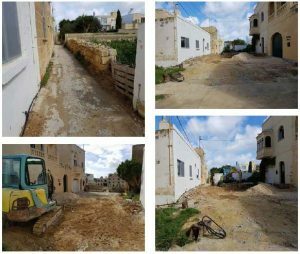 L-Gharb Local Council has completed resurfacing works in San Dimitri Street and the narrow part of Birbuba Street. In the meantime works are being carried out in Alley nr 1 in Church Street (Sqaq Sorijiet) including change of services and resurfacing works. The Local Council would like to apologize for any inconveniences during these works and kindly requests the residents’ cooperation.